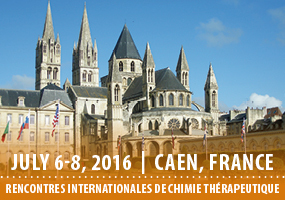 Ambinter will participate to the 52th RICT (Rencontres internationales de chimie therapeutique), which will take place in Caen, France, from July 6th to 8th 2016. Do not hesitate to visit us at our booth #1, to have an overview of our products (20 millions of chemicals). You would be able to discover our website and our services (supplying, custom synthesis, chemoinformatics).